how about a little fun for friday! don't worry i'm not going to start a new daily theme, but then again, fun fridays might be, well fun! what nine letter word in the english language is still a word when eight letters are removed one by one? can't come up with a nine letter word, don't feel bad, i couldn't either. i expect puzzlemaster will shortz could come up with the word - knowing will, i bet he could come up with a few words that fit the bill! i wonder if he used this riddle on his weekend edition puzzle segment? now here's the fun part, the answer is found in the following vid. gotta have a song -- how about this fun song from childhood! shirley ellis singing the name game - shirley wrote the song with lincoln chase; when it was released in 1964 it became an instant hit reaching #3 on the billboard hot 100 and #5 on the r&b charts. If the name starts with a vowel or vowel sound, the "b" "f" or "m" is inserted in front of the name. Playing the game with names such as Alice, Dallas, Tucker, Chuck, Buck, Huck, Bart, Art, Marty, Mitch, Rich, Richie, Maggie, Ruby, or, in British English, Danny or Annie, results in profanity or rude language. "Name Game" song takes me waaaay back. little did i know that the answer to the riddle would show on the vid - sorry to ruin it for those who may have actually tried to solve it! daisy - she is sooooo cute. cg - fun friday does have a nice ring! I love the name game and hadn't realized it was an actual song. Love Will Shortz and always listen to the puzzle on NPR but I never seem to be able to solve them. Fun Friday! I like it. I agree that Fun Fridays would be fun! Next time I see my niece & nephew we are totally going to play the name game. Thanks for the reminder! I remember one of my camp counselors -- or maybe a teacher -- played the name game with "Chuck" in front of a group of kids and regretted it immediately. I wouldn't have solved it anyway. I was thinking that you had to take away the letters from the end, one at a time, rather than selectively removing them. Seems were both on a retro kick...ha...I love the name game. 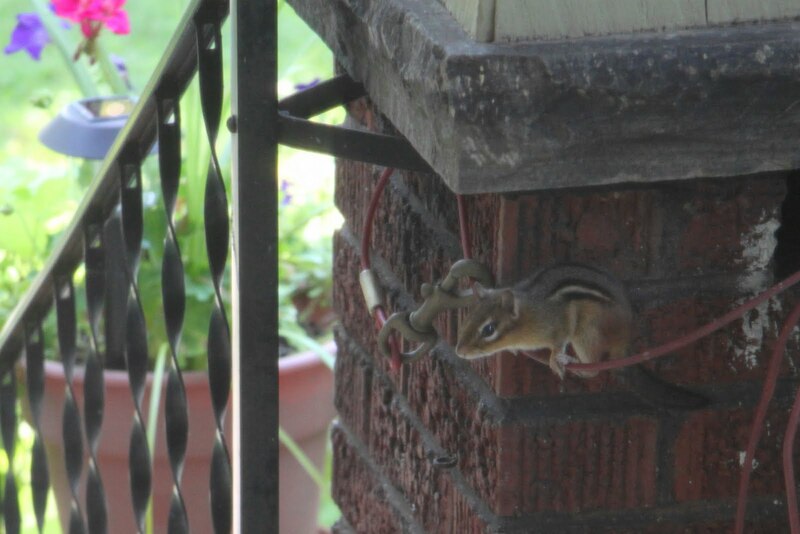 Your chipmunk buddy is adorable. Hope you're enjoying your Saturday.